For general health concerns, or assistance navigating the Vanderbilt University Medical Center please contact the Program for LGBTQ Health at the Vanderbilt Medical Center. 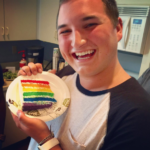 The Program coordinates a Trans Buddy program, as well as makes referrals for LGBTQ competent providers and the VUMC Transgender Health Clinic. 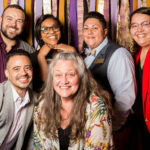 The Office of LGBTQI Life staff also serves as an excellent resource for locating supportive communities and services throughout Vanderbilt/Nashville area. Please come by the K.C. Potter Center or reach out via e-mail to any of our professional staff members for questions or conversations about local resources. Does Vanderbilt student health insurance cover hormone therapy and/or trans-related surgery? The Vanderbilt student health insurance plan does cover hormone replacement therapy (HRT) and trans-related surgery. 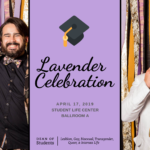 If you are enrolled in the student health insurance plan and have questions regarding LGBTQI coverage, please contact the on-campus student health representative, Kristy Miller, located in room SS4401 Zerfoss Student Health Center or at 615-343-4688. Additional information can also be found on the student health insurance website at www.gallagherstudent.com/vanderbilt. For Vanderbilt employees, the University has opted into both Navitus’ requirements and benefits regarding hormone therapy, and Aetna’s clinical policy regarding Gender Reassignment Surgery. Employees are still subject to requirements outlined by Navitus and/or Aetna for eligibility. To find out more about health care benefits for employees, contact Human Resources or visit their webpage under “Benefits” to find your specific representative. Vanderbilt employees have the option to visit a counselor or therapist for free through the Employee Assistance Program (EAP) in Work/Life Connections at Vanderbilt. Counselors at the EAP can assist you with any topic or issue you may be having in the workplace or personally. Those seeking counseling or therapy around gender dysphoria, being transgender, questioning your gender identity, or anything associated to gender are also able to access the EAP for these reasons. To contact the EAP, visit their contact us webpage or call 615-936-1327.